During the baby’s nap-time, a housefly buzzed past the new screen somehow, and landed on Danielle’s wrist while she was reading Us Weekly on the back porch. With the Okeepechee swamp so close, mosquitoes and flies take over Graceville in summer. “Well, I’ll be damned,” she said. Most flies zipped off at the first movement. Not this one. The fly sat still when Danielle shook her wrist. 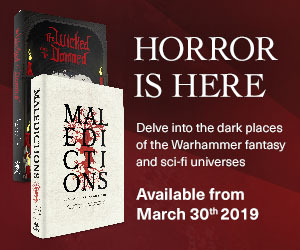 Repulsion came over her as she noticed the fly’s spindly legs and shiny coppery green helmet staring back at her, so she rolled up the magazine and gave it a swat. The fly never seemed to notice Angelina Jolie’s face coming. Unusual for a fly, with all those eyes seeing in so many directions. But there it was, dead on the porch floorboards. Anyone who says they wouldn’t hurt a fly is lying, Danielle thought. She didn’t suspect the fly was a sign until a week later, when it happened again—this time she was in the bathroom clipping her toenails on top of the closed toilet seat, not in her bedroom, where she might disturb Lola during her nap. A fly landed on Danielle’s big toe and stayed put. Danielle conjured Grandmother’s voice in her memory—as she often did when she noticed the quiet things Grandmother used to tell her about. Grandmother had passed three summers ago after a stroke in her garden, and now that she was gone, Danielle had a thousand and one questions for her. The lost questions hurt the most. Anything can happen once, Grandmother used to say. When it happens twice—listen. The third time may be too late. It was true about men, and Danielle suspected it was true about the flies, too. Once the second fly was dead—again, almost as if it had made peace with leaving this world on the sole of her slipper—Danielle wondered what the flies meant. Was someone trying to send her a message? A warning? Whatever it was, she was sure it was something bad. Being in the U.S. Army Reserves, her husband, Kyle, didn’t like to look for omens. He only laughed when she talked about Grandmother’s beliefs, not that Kyle was around in the summer to talk to about anything. His training was in summers so it wouldn’t interfere with his job as county school bus supervisor. Last year, he’d been gone only a couple of weeks, but this time he was spending two long months at Fort Irwin in California. He was in training exercises, so the only way to reach him was in a real emergency, through the Red Cross. She hadn’t spoken to him in three weeks. Kyle had been in training so long, the war had almost come and gone. But he still might get deployed. He’d reminded her of that right before he left, as if she’d made a promise she and Lola could do fine without him. What would she do if she became one of those Iraq wives? Life was hard enough in summer already, without death hanging over her head, too. With Grandmother gone from this earth and Kyle in California, Danielle had never been so lonely. She felt loneliest in the bathroom. Maybe the small space was too much like a prison cell. But she didn’t fight the feeling. Her loneliness felt comfortable, familiar. She wouldn’t have minded sitting with the sting awhile, feeling sorry for herself, staring at the dead fly on the black and white tile. Wondering what its message had been. But there wasn’t enough time for that. Lola was awake, already angry and howling. Long before the bodies were found, Grandmother always said the Okeepechee swampland was touched by wrong. Old Man McCormack sold his family’s land to developers last fall, and Caterpillar trucks were digging a man-made lake in the soggy ground when they uncovered the bones. And not just a few bones, either. The government people and researchers were still digging, but Danielle had heard there were three bodies, at last count. And not a quarter mile from her front door! Grandmother had told her the swampland had secrets. Lately, Danielle tried to recall more clearly what Grandmother’s other prophecies had been, but all she remembered was Grandmother’s earthy laughter. Danielle barely had time to fix herself a bowl of cereal in the mornings, so she didn’t have the luxury of Grandmother’s habits: mixing powders, lighting candles, and sitting still to wait. But Danielle believed in the swampland’s secrets. All her life, she’d known Graceville was a hard place to live, and it was worse on the swamp side. Everyone knew that. People died of cancer and lovers drove each other to misery all over Graceville, but the biggest tragedies were clustered on the swamp side—not downtown, and not in the development called The Farms where no one did any farming. When she was in elementary school, her classmate LaToya’s father went crazy. He came home from work one day and shot up everyone in the house; first LaToya, then her little brothers (even the baby), and her mother. When they were all dead, he put the gun in his mouth and pulled the trigger—which Danielle wished he’d done at the start. That made the national news. Sad stories had always watered Graceville’s backyard vegetable gardens. Danielle’s parents used to tell her stories about how awful poverty was, back when sharecropping was the only job for those who weren’t bound to be teachers, and most of their generation’s tragedies had money at their core. That wasn’t so true these days, no matter what her parents said. Even people on the swamp side of Graceville had better jobs and bigger houses than they used to. They just didn’t seem to build their lives any better. Danielle had never expected to raise a baby in Graceville, or to live in her late grandmother’s house with an Atlanta-born husband who should know better. The thought of Atlanta only six hours north nearly drove her crazy some days. But Kyle Darren Richardson was practical enough for the both of them. Coolheaded. That was probably why the military liked him enough to invest so much training. Do you know how much houses cost in Atlanta? We’ll save for a few more years, and then we’ll go. Once my training is done, we’ll never be hurting for money, and we’ll live on a base in Germany somewhere. Then you can kiss Graceville good-bye. In summer, with Kyle gone, she was almost sure she was just another fool who never had the sense to get out of Graceville. Ever since high school, she’d seen her classmates with babies slung to their hips, or married to the first boy who told them they were pretty, and she’d sworn, Not me. All of those old friends—each and every one—had their plans, too. Once upon a time. Danielle wasn’t sure if she was patient and wise, or if she was a tragedy unfolding slowly, one hot summer day at a time. Lola cried harder when she saw her in the doorway. Lola’s angry brown-red jowls were smudged with dried flour and old mucus. Sometimes Lola was not pretty at all. As Danielle lifted Lola beneath her armpits, the baby grabbed big fistfuls of Danielle’s cheeks and squeezed with all her might. Then she shrieked and dug in her nails. Hard. Her eyes screwed tight, her face burning with a mighty mission. Danielle cried out, almost dropping all twenty pounds of Lola straight to the floor. Danielle wrapped her arm more tightly around Lola’s waist while the baby writhed, just before Lola would have slipped. The baby’s legs banged against the crib’s railings, but Danielle knew her wailing was only for show. Lola was thirteen months old and a liar already. Lola shot out a pudgy hand, hoping for another chance at her mother’s face, and Danielle bucked back, almost fast enough to make her miss. But Lola’s finger caught the small hoop of the gold earring in Danielle’s right earlobe and pulled, hard. The earring’s catch held at first, and Danielle cried out as pain tore through. Danielle expected to see droplets of blood on the floor, but she only saw the flash of gold as the earring fell. Lola’s crying stopped short, replaced by laughter and a triumphant grin. Anyone who says they wouldn’t hurt a fly is lying. If Lola were a grown person who had just done the same thing, Danielle would have knocked her through a window. Rubbing her ear, she understood the term seeing red, because her eyes flushed with crimson anger. Danielle almost didn’t trust herself to lay a hand on the child in her current state, but if she didn’t Lola’s behavior would never improve. She grabbed Lola’s fat arm firmly, the way her mother had said she should, and fixed her gaze. Lola laughed so hard, it brought tears to her eyes. Lola enjoyed hurting her. Not all the time, but sometimes. Danielle was sure of it. Danielle’s mother said she was welcome to bring Lola over for a few hours whenever she needed time to herself, but Mom’s joints were so bad that she could hardly pull herself out of her chair. Mom had never been the same since she broke her hip. She couldn’t keep up with Lola, the way the child darted and dashed everywhere, pulling over and knocking down everything her hands could reach. Besides, Danielle didn’t like what she saw in her mother’s eyes when she brought Lola over for more than a few minutes: Jesus, help, she can’t even control her own child. Danielle glanced at the Winnie the Pooh clock on the dresser. Only two o’clock. The whole day stretched to fill with just her and the baby. Danielle wanted to cry, too. Kyle told her maybe she had postpartum depression like the celebrity women she read about. But her family had picked cotton and tobacco until two generations ago, and if they could tolerate that heat and work and deprivation without pills and therapy, Danielle doubted her constitution was as fragile as people who pretended to be someone else for a living. Lola could be hateful, that was all. That was the truth nobody wanted to hear. Danielle had tried to conceive for two years, and she would always love her daughter—but she didn’t like Lola much in summer. Lola had always been a fussy baby, but she was worse when Kyle was gone. Kyle’s baritone voice could snap Lola back to her sweeter nature. Nothing Danielle did could. Odetta Mayfield was the only cousin Danielle got along with. She was ten years older, so they hadn’t started talking until Grandmother’s funeral, and they’d become friends the past two years. The funeral had been a reunion, helping Danielle sew together pieces of her family. Odetta’s husband had been in the army during the first Iraq war and come back with a girlfriend. They had divorced long ago and her son was a freshman at Florida State, so Odetta came by the house three or four times a week. Odetta had no one else to talk to, and neither did she. If not for her cousin and her mother, Danielle might be a hermit in summer. Odetta bounced Lola on her knee while the baby drank placidly from a bottle filled with apple juice. Seeing them together in the white wicker rocker, their features so similar, Danielle wanted to beg her cousin to take the baby home with her. Just for a night or two. “Can’t see nothing from here,” Odetta said. But Danielle could feel two small welts rising alongside her right cheekbone. She dabbed her face with the damp kitchen towel beside the pitcher of sugar-free lemonade they had decided to try for a while. The drink tasted like chemicals. Danielle only grunted. She didn’t want to talk about Lola anymore. “Anything new from McCormack’s place?” she asked, a sure way to change the subject. Odetta worked as a clerk at City Hall, so she had a reason to be in everybody’s business. Seven bodies left unaccounted for, rotting in swampland? The idea made Danielle’s skin feel cold. Mass graves always reminded her of the Holocaust, a lesson that had shocked her in seventh grade. She’d never looked at the world the same way after that, just like when Grandmother first told her about slavery. “My mother still talks about the civil rights days, the summer those college kids tried to register sharecroppers on McCormack’s land. He set those dogs loose on them,” Danielle said. The McCormack Farm was less than a mile from Danielle’s grandmother’s house, along the unpaved red clay road the city called State Route 191, but which everyone else called Tobacco Road. Tobacco had been the McCormacks’ business until the 1970s. Another curse to boot, Danielle thought. She drove past the McCormacks’ faded woodengate every time she went into town, and the gaudy billboard advertising LOTS FOR SALE—AS LOW AS $150,000. The mammoth, ramshackle tobacco barn stood beside the roadway for no other reason than to remind everyone of where the McCormack money had come from. Danielle’s grandfather had sharecropped for the McCormacks, and family lore said her relatives had once been their slaves. Lola had only been a month old last summer, when Kyle went off to training. But Danielle didn’t want to talk about Lola now. She had enjoyed forgetting all about her. The story sounded vaguely familiar, but Grandmother had died soon after Danielle married Kyle, when Danielle had still been convinced she’d be moving to Atlanta within six months. She hadn’t even been pregnant then. Not yet. She and Kyle hadn’t planned on a baby until they had more money put together. If not for Lola, they might be living in Atlanta right now. Danielle would have thought she’d heard wrong, except that Odetta had a sense of humor. She had Danielle cracking up at Grandmother’s funeral, of all places, when Odetta whispered to point out how everyone who gave remembrances called Grandmother by a different surname. Grandmother had been married four times. When I knew Mrs. Jenkins . . . When I knew Mrs. Roberts . . . And on down the line. Once Odetta pointed it out, Danielle had to pretend to be sobbing to stifle her giggles. That laughter was the only light that day. “What did you put in that lemonade after I fixed it? I know you’re not sitting there talkin’ ’bout demons in the swamp like some old voodoo lady,” Danielle said. “Change into what?” Danielle said, still trying to decide if Odetta was playing. Danielle almost asked about the flies she had seen, but she caught herself. What was she thinking about? Grandmother might have kept her candles lit, but this was plain crazy talk. The minute you start letting family close to you, turns out they’re bent on recruiting you for the funny farm, too. No wonder Kyle was so happy living so far from Atlanta and his relatives. He might never want to go back home. “Don’t look at me like that,” Odetta said, grunting as she handed Lola back, almost as if to punish her. Danielle watched the sweetness seep from Lola’s face, replaced by the mocking glare she saved only for her mother. If Odetta hadn’t been sitting here watching, Danielle would have glared right back. The swamp leeches can have her, Danielle thought. God as her witness, that was the exact thought in her mind. Just to be on the safe side—and because she knew Grandmother would hound her in her dreams otherwise—Danielle brought Lola’s crib into her bedroom so the baby wouldn’t be alone at night. Danielle hadn’t let the baby sleep in the master bedroom since she was four months old, and Lola never had liked the nursery. Now Lola fussed less at bedtime, and Danielle rediscovered how much she enjoyed the sound of another person breathing near her at night. The strange thing didn’t happen until nearly a week after Odetta’s visit, when Danielle had all but forgotten the flies and Odetta’s story about leeches. A loud noise overhead woke her one night. It sounded like a boot clomping on the rooftop. Danielle opened her eyes, staring at the shadow of the telephone pole outside on her ceiling. Her bedroom always captured the light from the single streetlamp on this end of Tobacco Road. Sometimes her eyes played tricks on her and made her think she could see shadows moving. But shadows don’t make noise, Danielle thought. Kyle would have sprung from bed to get his rifle out of the closet. But Kyle wasn’t here, and Danielle didn’t know the first thing about the rifle, so she lay there and stared above her. That hadn’t sounded like breathing wood or any of the old house’s other aches and pains. Someone is on the roof. That was plain. Not a rat. Not a raccoon. Not an owl. The only thing big enough to make that noise was a deer, and she’d stopped believing in creatures with hooves flying to the roof when she was eight. The clomping sound came again, and this time it was directly above her. Danielle imagined she saw a large shadow on the ceiling above her, as if something was bleeding through. Imagined, because she couldn’t be sure. But it seemed to be more than just the darkness. It was a long, large black space, perfectly still. Waiting. Danielle’s heart galloped, and she couldn’t quite catch her breath. The thing on the rooftop made up its mind about what to do next. The shadow glided, and Danielle heard three purposeful strides on the rooftop above the mass. The sound was moving away from her bed—toward the baby’s crib. The baby was still asleep, breathing in slow, heavy bursts. Danielle could hear Lola over the noise. Too late, Danielle realized what she should have done: She should have jumped up, grabbed the baby, and run out of the room as fast as she could. It wouldn’t have hurt to grab her Bible from inside her nightstand drawer while she was at it. But Danielle had done none of that, so she only lay there in helpless horror while a shadow-thing marched toward her baby girl. As soon as the last clambering step sounded above—CLOMP—the baby let out a loud gasp. The rooftop went silent, and the baby’s breathing was normal again. Well, almost. Lola’s breathing was more shallow than it had been before, more hurried, but it was the steady breath of sleep. After listening in the dark for five more minutes, feeling muscle cramps from lying so still beneath her blanket, Danielle began to wonder if the horrific sound on the rooftop had been in her imagination. After all, Lola woke up if she sneezed too close to her door—so wouldn’t the baby have heard that racket and started wailing right away? Suddenly, it seemed all too plausible that the sound had been from a raccoon or an owl. Just magnified in the darkness, that was all. Served her right for letting family too close to her. Just crazy talk and nightmares. But although she didn’t hear another peep from the rooftop—and Lola’s breathing was as steady as clockwork running only slightly fast—Danielle couldn’t get back to sleep that night. She lay awake, listening to her baby breathe. The next thing Danielle knew, sunlight was bright in her bedroom. Lola woke up at six o’clock every morning no matter how late she went to bed, so Danielle hadn’t lingered in bed long enough for the sun to get this bright all summer. Danielle looked at her alarm clock: It was ten o’clock! Midmorning. All at once, Danielle remembered the racket on the rooftop and her baby’s little gasp. She fully expected to find Lola dead. But Lola was sitting up in a corner of the crib, legs folded under her Indian style, patiently waiting. She wasn’t whining, cooing, babbling, or whimpering. The baby was just staring and waiting for her to wake up. Danielle felt a surge of warmth and relief, a calm feeling she wished she could have every morning. “Well, look at Mommy’s big girl!” Danielle said, propping herself up on her elbows. The baby sat straighter, and her mouth peeled back into a wide grin as she leaned forward, toward Danielle. Her eyes hung on Danielle, not missing a single movement or detail. She looked like a model baby on the diaper package, too good to be true. And Danielle knew, just that fast. Something was wrong with the baby. This isn’t Lola, she thought. She would swear on her grave that she knew right away. There were a hundred and one reasons. First, Lola started her days in a bad mood, crying until she got her baa-baa. The new sleeping arrangement hadn’t changed that. And Lola never sat that way, Indian style like a Girl Scout around a campfire. The pose didn’t look right on her. Danielle went through the usual motions—seeing if Lola’s eyes would follow her index finger (they did, like a cat’s), testing her appetite (Lola drank a full bottle and ate a banana), and checking Lola’s temperature (exactly 98.6). Apparently, Lola was fine. Danielle’s heart slowed down from its gallop and she laughed at herself, laying Lola down flat on the wicker changing-table. The baby didn’t fuss or wriggle, her eyes still following Danielle’s every movement with a contented smile. But when Danielle opened the flaps of the Pampers Cruisers and the soiled diaper fell away between Lola’s chunky thighs, something dark and slick lay there in its folds. Danielle’s first glance told her that Lola had gotten her bowel movement out of the way early—until the mess in her diaper shuddered. It was five inches long, and thin, the color of the shadow that had been on her ceiling. The unnamable thing came toward Danielle, slumping over the diaper’s elastic border to the table surface. Then, moving more quickly with its body hunched like a caterpillar, the thing flung itself to the floor. A swamp leech. A smell wafted up from its wake like soggy, rotting flesh. For the next hour, while Lola lay in silence on the changing table, Danielle could hardly stop screaming, standing high on top of her bed. Danielle didn’t remember calling Odetta from the portable phone on her nightstand, but the phone was in her hand. The next thing she knew, Odetta was standing in her bedroom doorway, waving a bath towel like a matador, trying to coax her off the bed. Danielle tried to warn Odetta not to touch the baby, but Odetta didn’t listen. Odetta finished changing Lola’s diaper and took her out of the room. The next time Danielle saw Lola, she was dressed up in her purple overalls, sitting in the car seat like they were on their way to lunch at Cracker Barrel. “We’re going to Uncle June’s,” Odetta said, guiding Danielle into the car. Danielle didn’t remember the drive, except that she could feel Lola watching her in the rearview mirror the whole way. Danielle was sure she would faint if she tried to look back. Uncle June lived at the corner of Live Oak and Glory Road, near the woods. He was waiting outside his front door with a mug, wearing his pajama pants and nothing else. A smallish, overfed white dog sat beside him. Odetta kept saying Uncle June could help her, he would know just what to do, but the man standing outside the house at the end of the block looked like Fred Sanford in his junkyard. His overgrown grass was covered with dead cars. Odetta opened the car door, unbuckled Lola from her car seat, and hoisted the baby into her arms. As if it were an everyday thing. Then she opened Danielle’s car door and took her hand, helping her remember how to come to her feet. “Just like with Ruby’s boy in ninety-seven,” Odetta told Uncle June, slightly breathless. Uncle June just waved them in, opening his door. The dog glared back at Lola, but turned around and trotted into the house, where it made itself scarce. “Let’s put her in the bathtub, in case another one comes out of her,” Odetta said. “Won’t be, but do what you want.” Uncle June sounded sleepy. Lola sat placidly in the center of the bathtub while the warm water came up to her waist. Her legs were crossed the way they had been in her crib. Danielle couldn’t stare at her too long before she was sure a madwoman’s wail would begin sliding from her throat. Danielle gasped when she saw a long blue bathrobe hanging on a hook on back of the bathroom door. It looked like a man floating behind her. And the mirror on the medicine cabinet was askew, swinging to and fro, making her reflection shudder the way her mind was shuddering. Danielle wondered how she hadn’t fainted already. “I told you,” Uncle June said, and Danielle realized some time must have gone by. Uncle June had been standing before, but now he was sitting on top of the closed toilet lid, reading a well-worn copy of The Man Who Said I Am. “Won’t never be but one o’ them things.” When the water splashed in the tub, they all looked down at Lola. Danielle didn’t look away this time; she just felt her body coil, ready for whatever was next. Lola’s face was moony, upturned toward Danielle with the same intense gaze she had followed her with all morning. But the water around her still looked clear. No more leeches. Lola had only changed position slightly, one of the rare times she had moved at all. “It’s under my bed,” Danielle said. Danielle shivered for what seemed like a full minute. Her body was rejecting the memory of the thing she had found in her baby’s diaper. She waited for her shivering to pass, until she realized it wouldn’t pass any time soon. She would have to get used to it. Lola, in the tub, wrapped her arms around herself with a studious expression as she stared up at Danielle. Lola was still smiling softly, as if she was going out of her way not to alarm her, but her creased eyebrows looked like a grown woman’s. On any other day, Lola would be splashing water out of the tub, or else sliding against the slick porcelain with shrieks of glee. This creature with Lola’s face might be a child, but it wasn’t hers. Water wasn’t novel anymore. “If that isn’t Lola . . . then where is she?” Danielle said, against the ball of mud in her throat. “Unnnnh-hnnnh . . .” Odetta said with an encouraging smile. Danielle’s heart cracked. A month! “And it won’t hurt Lola?” Danielle said. “Might give her the runs.” Uncle June sat again. “Lola’s gonna’ be fine, Danny,” Odetta said, squeezing her hand. Kyle’s nickname for her was Danny, too. She should call Kyle to tell him, she realized. But how could she explain this emergency to the Red Cross? “What if . . . I don’t give her the remedy? What would happen?” God only knew what was in that so-called remedy. What if she accidentally killed Lola trying to chase away the demon? “Summer’s the only time,” Odetta said. Danielle stared at Lola’s face again. The baby’s eyes danced with delight when Danielle looked at her, and the joy startled Danielle. The baby seemed like Lola again, except that she was looking at her with the love she saved for Kyle. “So how many is it now, Odetta? At McCormack’s place?” Uncle June said. He had moved on, making conversation. Unlike Danielle, he was not suffering the worst day of his life. Uncle June sighed, grieved. He wiped his brow with a washcloth. “That’s a goddamn shame.” The way he said it caught Danielle’s ear, as if he’d lost a good friend a hundred years ago who had just been brought out to light. “Nobody has to wait on C.S.I. experts to tell us it’s black folks,” Odetta said. Six dead bodies on McCormack Farm. Six of Graceville’s secrets finally unburied. The other one, in the bathtub, had just been born. All morning, while Danielle had sat wrapped up in Uncle June’s blue bathrobe on the sofa with a mug of peppermint tea she had yet to sip from, Odetta had passed the time by propping Lola up in a dining room chair and identifying items in the room. Lola pointed at the bookcase, which Uncle June had crammed top to bottom. “Bookcase,” the Lola-thing said. She pointed up at the chandelier, which was only a skeleton, missing all of its bulbs. “Chan-de-lier,” Odetta said. Danielle shivered with each new word. Before today, Lola’s few words were gummy and indistinct, never more than two syllables. But Lola was different now. The baby pointed at a maroon-colored book on the arm of Uncle June’s couch. At that, honest to God, Danielle almost laughed. Then she shrank farther into a ball, trying to sink into the couch’s worn fabric and make herself go away. Lola gazed over at Danielle, the steady smile gone. The baby looked concerned. Mommy? That’s what the baby’s face seemed to say. “Your mama’s tired,” Odetta said. Tears sprang to the baby’s eyes. Suddenly, Lola was a portrait of misery. “Don’t worry, she’ll be all right after tomorrow,” Odetta said. All misery vanished. The baby smiled again, shining her big brown eyes on Danielle. Just like Odetta’s joke on the day of Grandmother’s funeral, that smile was Danielle’s only light. No, it sure isn’t Lola, Danielle thought ruefully. A deep voice behind Danielle startled her. “Gotta go to work,” Uncle June said, and the door slammed shut behind him. Danielle had forgotten Uncle June was in the house. “He never gave me the remedy,” Danielle said, remembering. Some people could eat their way through any situation, Danielle thought. After a time, Odetta turned on the television set, and the room became still. The only noise was from the guests on Oprah and a quick snarl from Uncle June’s dog as he slunk past Lola’s high chair. Lola didn’t even notice the dog. Her eyes were still on Danielle, even when Danielle dozed for minutes at a time. Whenever Danielle woke up, Lola was still staring. “Bles-sing,” Lola said, and grinned. Danielle had never been more exhausted. “I need a nap,” she said. And it was true. Once their conversation stopped, the Lola-thing sat in the high chair looking just like Lola, except that she never once whined or cried, or even opened her mouth. She just gazed at Danielle as if she thought Danielle was the most magnificent creature on Earth. That smile from Lola was the last thing Danielle saw before she tumbled into sleep. Uncle June had owned the Handi Gas at the corner of Live Oak and Highway 9 for at least twenty-five years, and it smelled like it hadn’t had a good cleaning in that long, filled with the stink of old fruit and motor oil. But business was good. All the pumps outside were taken, and there were five or six customers crammed inside, browsing for snacks or waiting in line for the register. The light was so dim Danielle could barely make out the shelves of products that took up a half dozen rows, hardly leaving room to walk. Uncle June was busy, and he didn’t acknowledge them when they walked in. Odetta went straight for the hamburgers wrapped in shiny foil inside the glass display case by the cash register. “You want one, girl?” Odetta called. Danielle shook her head. The thought of food made her feel sick. She had ended up with the stroller, even though Odetta had promised her she wouldn’t have to get too close to Lola. But Danielle found she didn’t mind too much. Being at Handi Mart with the truckers and locals buying their lunch and conducting their business almost made Danielle forget her situation. As she pushed the stroller aimlessly down aisle after aisle, hypnotized by the brightly colored labels, she kept expecting to feel Lola kicking her feet, squirming in the stroller or screaming at the top of her lungs. Her usual antics. Instead, Lola sat primly with her hands folded in her lap, her head turning right and left as she took in everything around her. Odetta had spent the rest of the morning braiding Lola’s hair, entwining the plaits with pretty lilac-colored bows alongside the well-oiled grooves of her brown scalp. Despite her best efforts, Danielle had never learned how to do much with Lola’s hair. Mom hadn’t known much about hair, either. This was the best Lola had looked in ages. “Take your time,” someone said, and she realized she had said it. Calm as could be. Although Odetta was kin to Uncle June, she had to stand in line like any other customer. She’d helped herself to two burgers, a large bag of Doritos, and a Diet Coke from the fountain in back. It’s no wonder she was still carrying her baby weight eighteen years later, Danielle thought. With nothing left to do, Danielle stood beside her cousin to wait. “Well, ain’t you cute as a button?” a white woman said ahead of them, gazing back at Lola in the stroller. The woman was wearing an ostrich feather hat and looked like she was dressed for church. Was it Sunday? Danielle couldn’t remember. “But-ton,” Lola said, the first sound she’d made in two hours. The woman smiled down at Lola. Danielle almost warned her not to get too close. “Thank you,” Danielle said. Lola didn’t get many compliments, not with her behavior. “Thirteen months,” Danielle said, although it was a lie. As far as she knew, the thing in Lola’s stroller was as old as the swamp itself. “Lovely,” the woman said. She turned away when Uncle June asked her pump number. And Lola was lovely today, thanks to Odetta. There was no denying it. Maybe that was why Danielle could touch her stroller without feeling queasy, or getting goose bumps. The nasty thing that had crawled out of Lola’s diaper that morning was beginning to seem like a bad dream. “One minute,” Uncle June said when it was their turn in line. He vanished through a swinging door to the back room. As the door swung to and fro, Danielle saw a mess of boxes in the dank space, and she caught a whiff of mildew and ammonia. Danielle felt her heart speed up. Her fingers tightened around the stroller handles. “You sure you don’t want your own burger? These are mine,” Odetta said. Danielle only shook her head. A fly landed on one of the ribbons on Lola’s head. While Odetta rifled through her overstuffed pocketbook, Uncle June leaned over, folded his hands, and stared Danielle straight in the eye. His eyes looked slightly bloodshot, and she wondered if he had been drinking that morning. Danielle nodded, clasping the bottle tightly in her hand. She had questions about what was in the remedy, or how he’d come to concoct it, but she couldn’t make her mouth work. She couldn’t even bring herself to thank him. Another fly circled, landing on the counter, and Uncle June killed it with his red flyswatter without blinking. He wiped it off the counter with a grimy handkerchief, his eyes already looking beyond Danielle toward the next customer. “Won’t be long now, Danny,” Odetta said. Odetta opened the gas station’s glass door for her, and Danielle followed with the stroller. She was looking forward to another nap. Hell, she might sleep all day today, while she had the chance. She hadn’t had a good night’s sleep since Kyle had been gone. Danielle almost ran down an old white man in a rumpled black Sunday suit who was trying to come in as they walked out. “Sorry—” Danielle began, but she stopped when she saw his face. Danielle and her neighbor had never exchanged a word in all these years, but there had been no escaping his face when he ran for Town Council in ninety-nine and plastered his campaign posters all over the supermarkets. He was Old Man McCormack, even though his face was so furrowed with lines that he looked like he could be his own father. He was also very small, walking with a stoop. The top of his head barely came up to Danielle’s shoulder. Odetta froze, staring at him with a stupefied expression, but McCormack didn’t notice Odetta. His eyes were fixed on the stroller, down at the baby. He smiled a mouthful of bright dentures at Lola. “Just like a little angel,” McCormack said. Some of his wrinkles smoothed over when he smiled, as if a great burden had been lifted from his face. He gently swatted away a fly that had been resting on the tip of Lola’s nose. Danielle didn’t know how long the fly had been there. McCormack’s smile faded as he raised his head to look at Danielle, as if he expected to find himself staring into a harsh light. His face became tight, like hardening concrete. “Afternoon, ma’am,” he said. His voice was rough, scraped from deep in his throat. And his eyes flitted away from hers in an instant, afraid to rest on hers too long. But Danielle had glimpsed his runny eyes long enough to see what he was carrying. She could see it in his stooping shoulders, in his shuffling walk. She felt sorry for him. “Afternoon, Mr. McCormack,” she said. He paused, as if he was shocked she had been so civil. His face seemed to melt. “You and your pretty little girl have a good summer, hear?” he said with a grateful smile. Despite the way Odetta gaped at her, Danielle wasn’t in the mood to pass judgment today. Everyone had something hidden in their past, or in their hearts, they wouldn’t want dug out. Maybe the McCormack family would have to answer to God for those bodies buried on their land, or maybe they wouldn’t. Maybe Danielle would give Lola six drops of Uncle June’s remedy at midnight tonight, or maybe she wouldn’t. She and this old man deserved a little peace, that was all. Danielle rubbed the top of Lola’s head, gently massaging her neatly braided scalp. Her tiny visitor in the stroller turned to grin up at her with shining, adoring eyes. 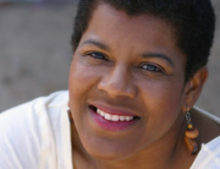 Tananarive Due is the recipient of The American Book Award and the NAACP Image Award and has authored and/or co-authored twelve novels and a civil rights memoir. In 2013, she received a Lifetime Achievement Award in the Fine Arts from the Congressional Black Caucus Foundation. In 2010, she was inducted into the Medill School of Journalism’s Hall of Achievement at Northwestern University. She has also taught at the Geneva Writers Conference, the Clarion Science Fiction & Fantasy Writers’ Workshop, and Voices of Our Nations Art Foundation (VONA). Due’s supernatural thriller The Living Blood won a 2002 American Book Award. Her novella “Ghost Summer,” published in the 2008 anthology The Ancestors, received the 2008 Kindred Award from the Carl Brandon Society, and her short fiction has appeared in several best-of-the-year anthologies of science fiction and fantasy.